Here is more evidence that connects posture to pain, a study out of Tokyo Japan published in the Journal of Neurosurgery Spine. The object of this study was to investigate correlations between sagittal (side plane) posture and improvements in clinical and quality-of-life outcomes after lumbar decompression surgery for lumbar spinal canal stenosis without coronal (posture from the front) imbalance. 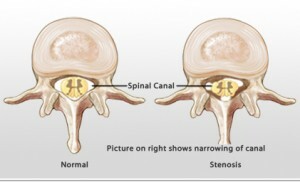 Spinal canal stenosis is compression of the spinal cord against the posterior aspect of the spine in the spinal canal. Decompression surgery is when surgeons cut away the back aspect of the vertebrae so the cord has no bony structure on which to be compressed against. Spinal canal stenosis symptoms can be severe and include back pain, leg pain, tingling/numbness in the legs, and possibly weakness in the legs and feet. We had a recent post on lumbar spinal stenosis surgery that highlighted a paper which concluded that PT had just as good as results as decompression surgery. In our opinion lumbar spinal stenosis decompression surgery should be reserved for when all other care options, including chiropractic, have failed. This post isn’t about decompression surgery it is about posture. The key finding in this paper, for us, is about the posture outcomes. The authors of this paper noted the pre-operative and post-operative posture of each patient as well as their quality of life health status. The authors had some success in improving the posture of some patients with decompression surgery and these patients showed improvement in pain and quality of life. The authors noted that the patients with the worst posture continued to have bad posture post surgery and also had continued pain and poorer quality of life scores than patients with “better” posture before surgery. This paper is more evidence that connects posture to pain and quality of life; poor posture = increased likelihood of pain and poor quality of life, better posture = less likelihood of pain and better quality of life. The key to spinal health is good posture we see it in practice and we see it in the literature. 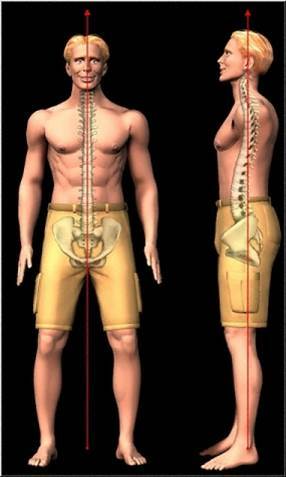 The closer you are to having normal upright posture the less likely you are to have spine or spine related pain and you will experience a better quality of life. Our practice is focused on analyzing the cause of your pain but also analyzing your posture to determine how it affects your symptoms and your quality of life. Real answers to correcting spine pain cannot be found in taking pain medications indefinitely, nor should surgery be an option if you have never seen a chiropractor. For real answers to your spine pain, give us or chiropractors like us a call today.